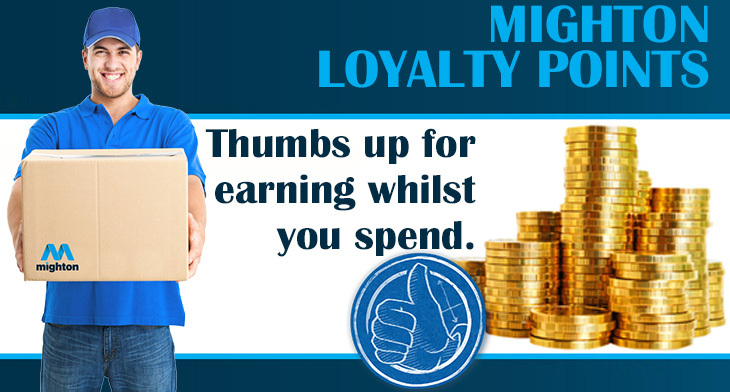 The loyalty scheme is our way of saying thank you for having a trade account with us and purchasing from mightonproducts.com. Its simple, having a trade account earns you loyalty points and the more you spend the more loyalty points you earn. The more loyalty points you earn the more you can use towards your next purchase. If you have a trade account you are automatically signed up to the reward scheme and will receive loyalty points with each purchase. For every purchase you will receive loyalty points to your account, you will be able to see your current loyalty point balance from your account page. To reclaim your points, simply log into your account and click on the tab labelled Reward Points. From here you will be able to see how many points you have accrued from your purchases with us. You can then click to redeem your points with your next order for money off. We do not refund the reward points. We reserve the right to change or cancel the reward point scheme from time to time upon giving reasonable notice of such changes to you.